The PLC engineering environment has undergone outstanding innovation and growth. We are now entering the era of MELSEC Engineering Software! 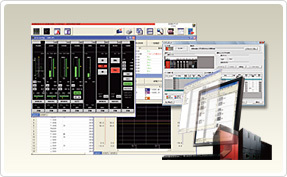 MELSEC's many different software products provide solutions for TCO reduction in an engineering environment, using methods such as improving design efficiency, shortening debugging time, reducing downtime, and data holding.